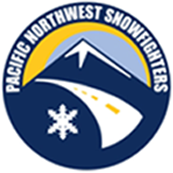 The Pacific Northwest Snowfighters is an association of transportation agencies in British Columbia, Idaho, Montana, Oregon and Washington. Below are links to the partner agency websites. Aurora is an international partnership of public road agencies working together to perform joint road weather-related research. Clear Roads is a consortium of 29 state departments of transportation that conducts research related to winter highway operations and maintenance. SICOP is the Snow and Ice Pooled Fund Cooperative Program, a collaborative research effort for testing materials related to snow and ice control. © 2019 Pacific Northwest Snowfighters. All Rights Reserved.